The GP-S/12 offers a 12v powering option for any 12-14v piece of equipment. 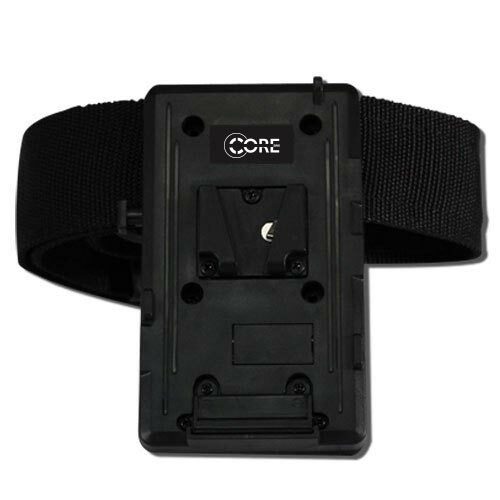 The plate includes a heavy-duty belt to allow you to have V-Type battery power waist mounted. When coupled with one of Core SWX’ cabling options, the unit can power virtually any mobile device. Couple with XP-DV cables to power DV/HDV Camcorders.